I hope you had a great weekend. Today I thought we would start things off with some shine, because what does Monday need other than coffee and sparkle? Right. 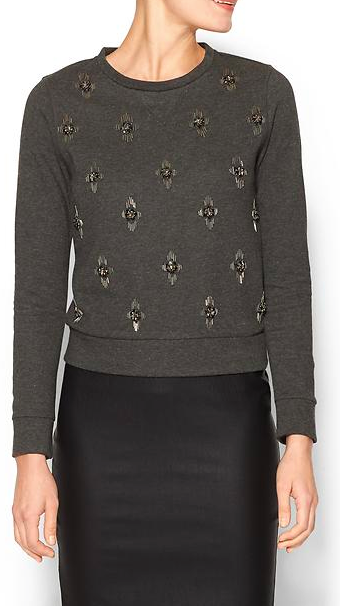 Let's look at some beautifully embellished sweaters. A beautiful shade of mint with a great cream collar addition. I love this option for work. A pencil skirt paired with the comfort of fleece and you still look fancy. Who doesn't love a nice merino blend? And in a rich navy? Sold. 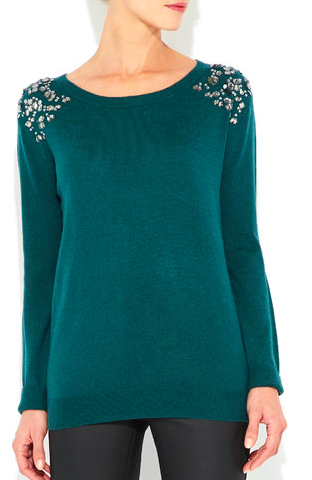 And for something a little different, this shoulder embellished sweater. I love this emerald shade. 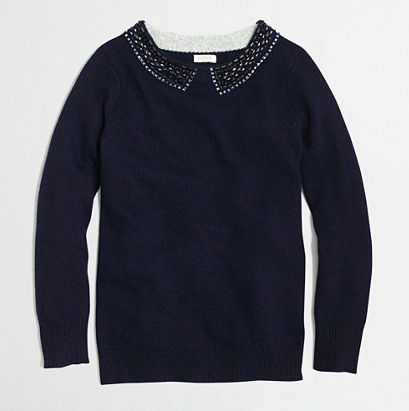 Built in sparkle to your top. No need for a necklace, this option takes care of it. You can go all over bling or pops of sparkle with the collar or shoulder. If you're looking for an easy, matches pretty much anything in your closet top, this is your go to. Throw it over a dress, pair it with jeans, or add some shine to a corduroy mini skirt.